Sunspot | Watts Up With That? August 6, 2017 in Solar. November 7, 2013 in Solar, solar flare, Spaceweather. 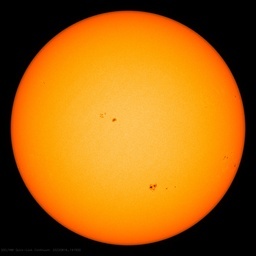 Sunspot count is virtually unchanged from last month : It seems possible that we’ve seen the double peak, and it will be downhill after this. May 15, 2013 in solar flare.